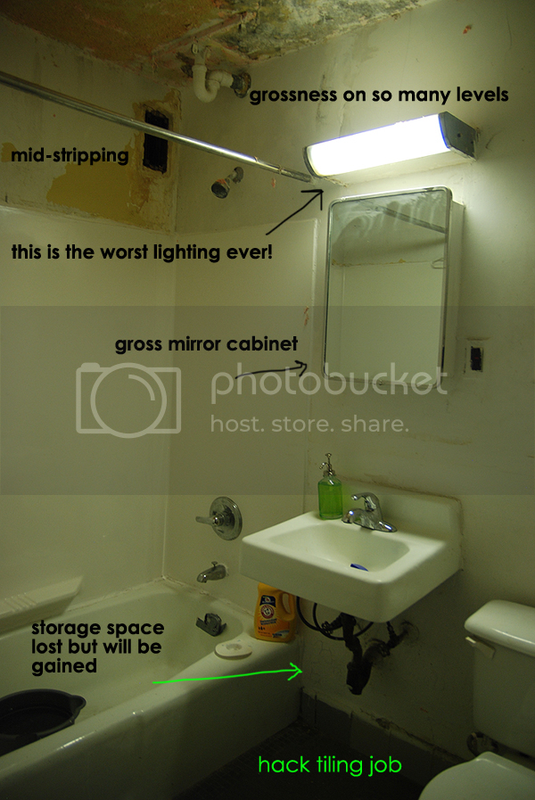 My blogging buddy Maya did and awesome job turning her (disgusting) bathroom into a light & beautiful place to primp. She was so kind as to let me show it off to you guys. Here is the before. Yuck! Amazing!! 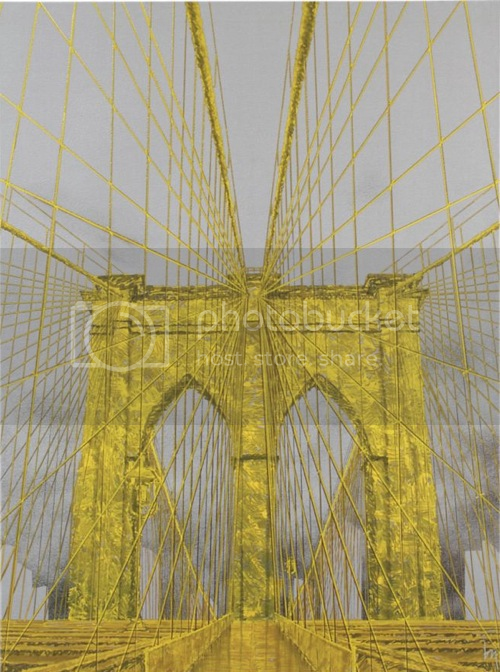 I would love to see some cool art above the toilet & being that Maya is a photographer I know she'd appreciate something like this, from CB2. 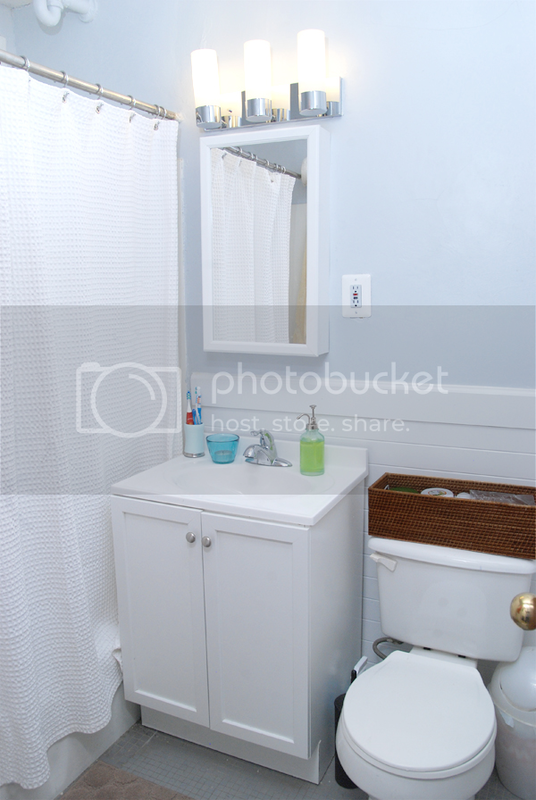 The pop of yellow would look great against her cool blue, and I love the geometric lines! Whatever Maya chooses will be fab, I'm sure, because she has an great eye! If you have a moment, go check out her fun blog. Lastly, I wanted to share a sneak peek into one of my current projects!! 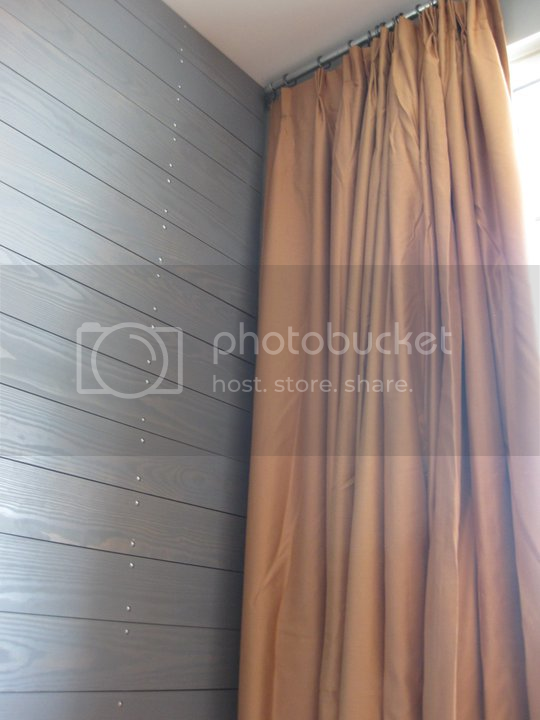 If you like SingleBubblePop Design Studio on Facebook, you may have already seen this but here's a look at the wood panelling and custom drapery installation we did on Monday!